Scott Cowen is President Emeritus and Distinguished University Chair of Tulane University and served as Tulane’s 14th president from July 1998 through June 2014. 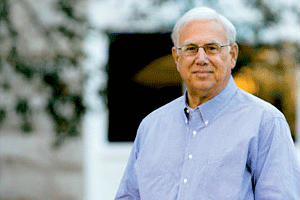 TIME magazine named Cowen one of the nation’s Top 10 Best College Presidents and he was one of only four university leaders nationwide to receive the 2009 Carnegie Corporation Academic Leadership Award. In 2010 Cowen was elected to the American Academy of Arts and Sciences, one of the world’s most prestigious honorary societies. That same year he was appointed by President Barack Obama to the White House Council for Community Solutions, which advised the President on ways to reconnect and empower young people who are neither employed nor in school. In 2012-2013 Cowen served as chair of the Association of American Universities, an association comprised of 62 major research universities in North America. In recognition of his commitment to higher education and society at large, Cowen received the 2014 TIAA-CREF Theodore M. Hesburgh Award for Leadership Excellence in Higher Education. The truth is in the time after Hurricane Katrina the fate of New Orleans was depending on the vision and competence of a guy that grew up in New Jersey. That person was Tulane President Dr. Scott Cowen. Cowen is the recipient of honorary degrees from institutions such as Brown University, Yeshiva University, George Mason University, the University of Connecticut, Xavier University of Louisiana, the University of Notre Dame and Case Western Reserve University. He is also the recipient of The Times-Picayune’s Loving Cup, which each year honors a New Orleanian who has worked unselfishly for the community without expectation of recognition or material reward. He has been honored by New Orleans CityBusiness as one of the 30 “Driving Forces” in New Orleans in the last 30 years and by Gambit as New Orleanian of the Year in 2011. During Cowen’s 16-year tenure, Tulane University more than quadrupled its undergraduate applications while experiencing all-time highs in student quality. In addition, Tulane more than doubled the level of total private giving to the university and received a record level of research awards. Under Cowen’s leadership, the university implemented a number of innovative academic and research programs and significantly increased its community outreach. As a result of Tulane’s growth, the university invested approximately $700 million in new and renovated facilities in the last nine years of Cowen’s presidency. In recognition of Tulane’s achievements under Cowen, the university was noted as one of the “Hottest Schools in America” by Newsweek magazine in 2002 and 2008, and has been nationally recognized on numerous occasions for its civic engagement programs, while also being consistently ranked in the top tier of national research universities. In June 2008 Cowen announced the successful completion of “Promise and Distinction: The Campaign for Tulane,” which surpassed its $700 million goal, making it the largest university fundraising effort in the history of Louisiana. Upon the completion of a comprehensive university-wide planning process in 2012, Cowen launched a $1 billion- plus campaign to support the university’s long-term future. Cowen led Tulane through the most trying period of its history when, in August 2005, Hurricane Katrina devastated the city of New Orleans, flooding 70 percent of Tulane’s uptown campus and all the buildings of its downtown health sciences campus. Tulane’s faculty, staff and students were dispersed around the country for an entire semester. 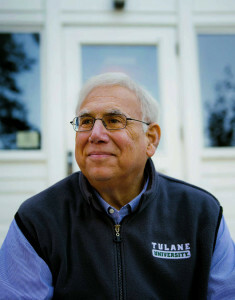 Under Cowen’s leadership, the campus was repaired and in December 2005, the Board of Tulane approved his Renewal Plan, a sweeping effort that strengthened and focused the university’s academic mission while strategically addressing its current and future operations in the post-Katrina era. A remarkable 87 percent of Tulane undergraduate students returned for classes in January 2006, just months after the storm. In response to Katrina, Cowen was appointed to the city’s Bring New Orleans Back Commission and charged with leading a committee to reform and rebuild the city’s failing public school system. Cowen has devoted his days and nights to these monumental tasks and has had impressive results. As part of this effort, Tulane chartered a K-12 school in New Orleans and created the Cowen Institute for Public Education Initiatives to support the transformation of public education in New Orleans; Cowen currently chairs the Institute’s Board of Advisors. In addition, Cowen serves as the chair of the Posse Foundation’s New Orleans Advisory Board. Cowen has also served as a commissioner of the New Orleans Redevelopment Authority, which played a major role in the rebuilding of Orleans Parish in the aftermath of Hurricane Katrina, and served as chair of the Southeast Regional Airport Authority as well as commissioner of the New Orleans Public Belt Railroad. 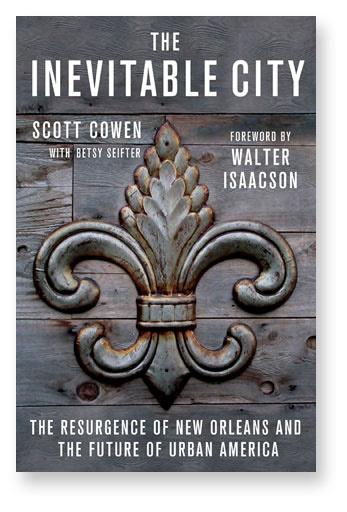 Cowen was co-founder of the Fleur-de-lis Ambassadors program, a group of New Orleans civic leaders who, in the aftermath of the storm, spread the message nationwide that post-Katrina New Orleans was an economically viable, livable city with a recovery plan in progress. The Ambassadors also actively sought support for the recovery of New Orleans from businesses and philanthropic organizations around the country. Cowen has held leadership positions in national academic and professional associations, including the American Council on Education, the National Association of Independent Colleges and Universities, the NCAA, Conference-USA, the National Merit Scholarship Corporation and the Council of Higher Education Accreditation (CHEA). He currently serves as a member of the Knight Commission on Intercollegiate Athletics, an overseer of TIAA (formerly TIAA-CREF) as well as a trustee of Case Western Reserve University, the New Orleans Museum of Art, the Weatherhead and Marcus Foundations, respectively, and is a trustee emeritus of the University of Notre Dame. Prior to coming to Tulane, Cowen was at Case Western Reserve University for 23 years as a professor, including 14 years as dean of the Weatherhead School of Management and the Weatherhead Professor of Management. During this time period he served as president of the American Assembly of Collegiate Schools of Business. He is the author of six books and more than 100 academic and professional articles, essays and reviews. His most recent book, Winnebagos on Wednesdays: How Visionary Leadership Can Transform Higher Education, was published by Princeton University Press in February 2018. 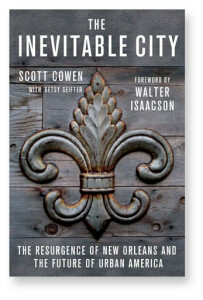 He also is the author of The Inevitable City: The Resurgence of New Orleans and the Future of Urban America. Cowen’s areas of scholarship and teaching focus on strategic financial management systems, corporate governance and leadership. He has consulted with and served on the boards of numerous companies, from startups to Fortune 100 companies, and is currently a board member of Parkwood Corporation and Barnes & Noble. Cowen also serves as a senior advisor to the Boston Consulting Group in their Public Sector area. He is a previous board member of Newell Brands, Forest City Realty Trust, NACCO Industries, and American Greetings. Cowen and his wife, Marjorie, have four adult children and five grandchildren.